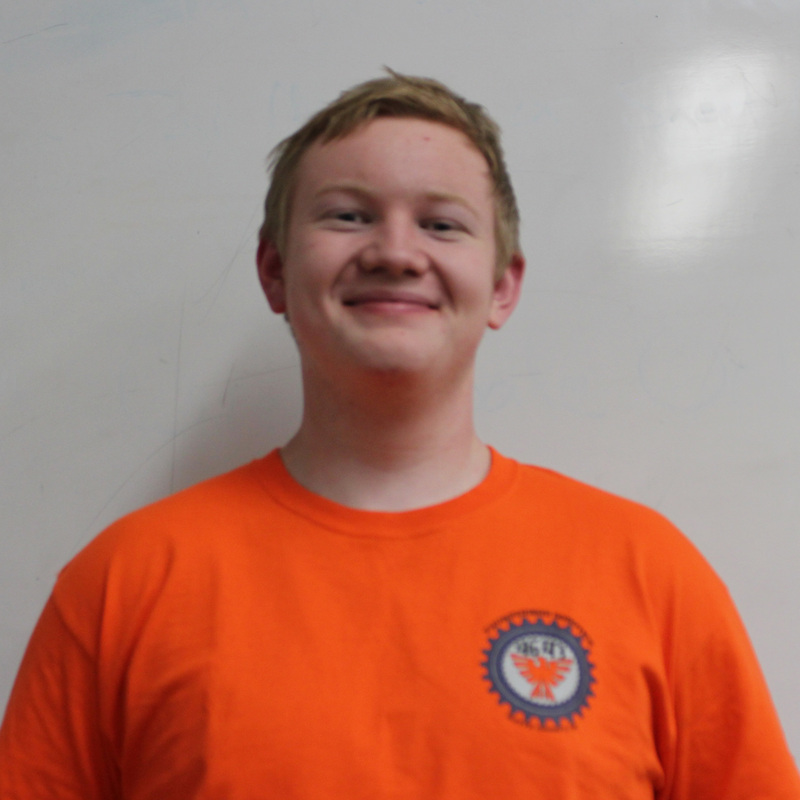 Our Adviser, Jonathon Andrew, started in Robotics when he was a high school student. 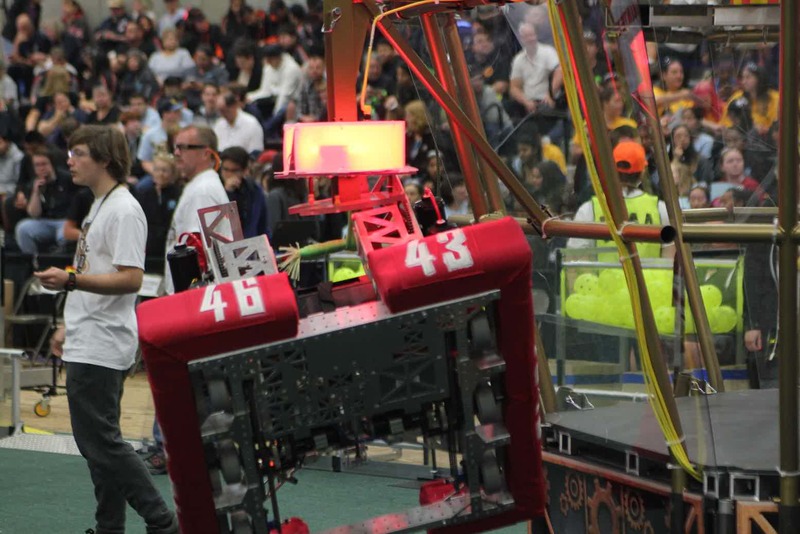 After taking a teaching job at Las Plumas High School in Oroville, California, he took it upon himself to start the first and only robotics team in northern California. Our rookie year, in 2013, consisted of multiple members from Las Plumas High School and one member from Oroville High School. 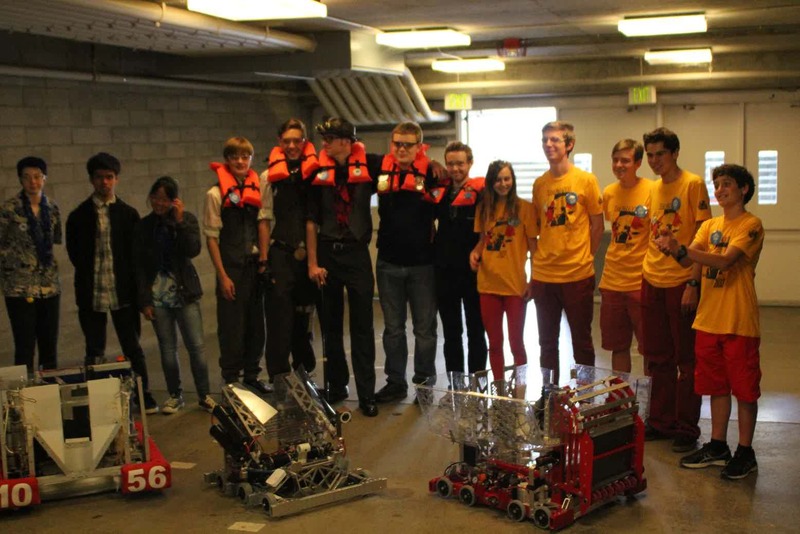 Our mentors were supplied from Butte College and Chico State located one town over. 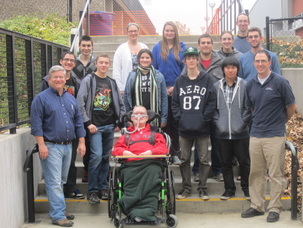 In 2014 however, our team gathered members from Las Plumas, Chico High and Inspire School of Arts and Sciences. We grew in size and knowledge, and instantly grew together as a family. That was the year that we decide that our home base was Las Plumas, but our team caters to all high school students within Butte County. 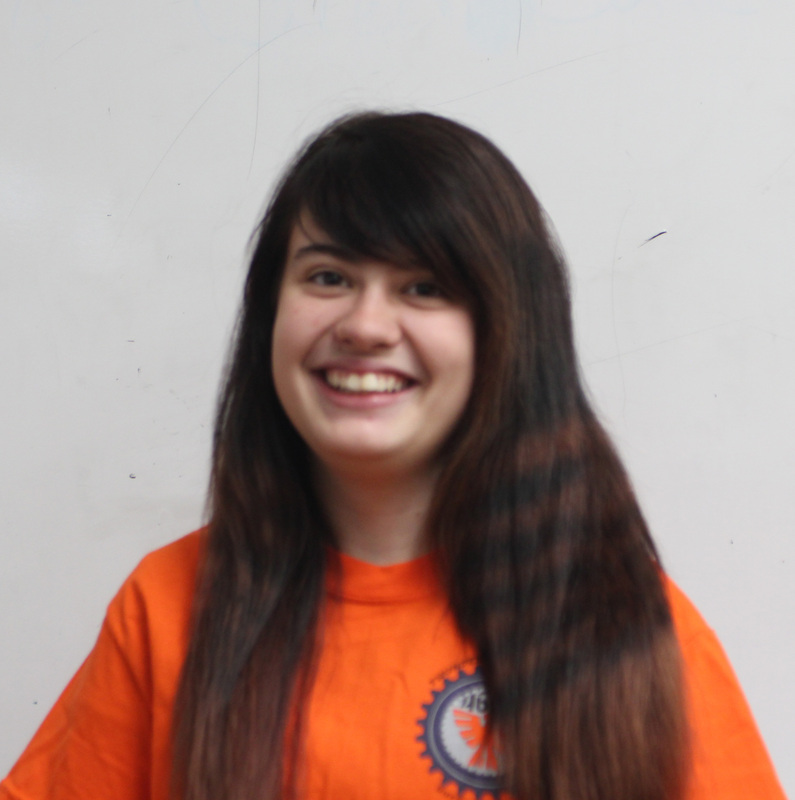 We claimed more mentors and sponsors that helped us to move faster and complete building our robot for that year. 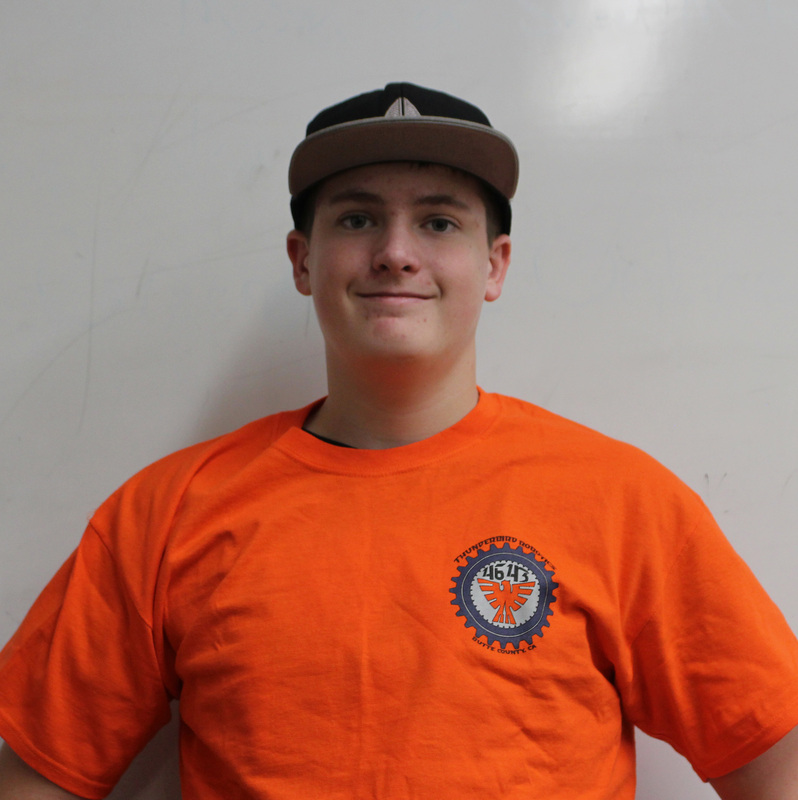 Our team also held a week long Lego Robotics camp at Butte College in the summer of 2014 for kids in grades 3rd-8th. We split the kids into four groups and had them come up with names, build Lego robots, eat snacks, play games. We ended the week with a mini tournament and invited all of the parents to come and see what their kids achieved. In 2015, students from CORE Butte and Hearthstone joined our team, and we couldn’t be prouder to accept them and their knowledge. This year’s mission was a lot harder than the previous ones and took longer to visualize and then build, but we did it. Again, we hosted a summer Lego Robotics camp. In 2016, we created a non-profit organization called IRON Cal. Our team continued to host the Lego Robotics camp for kids in grades 3rd-8th. Power Up is FIRST's new and exciting game. In this game, like previous games, it's 2 teams of three going head to head. 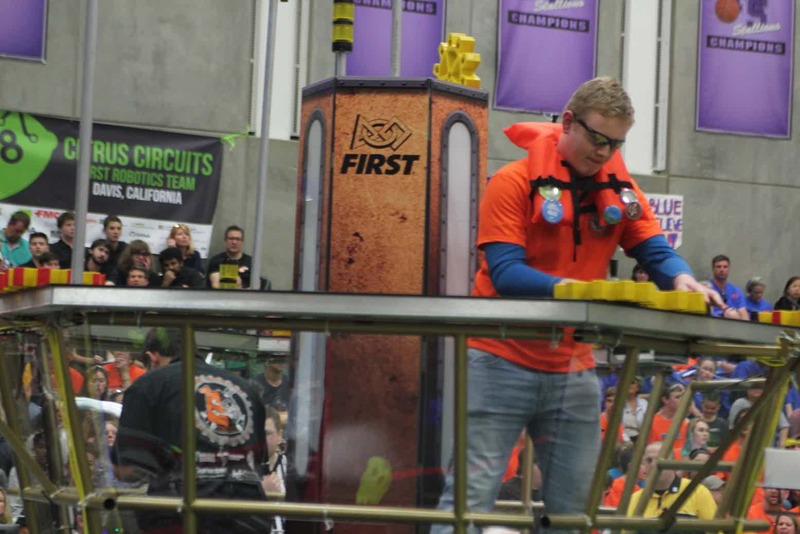 Power Up is highly video game inspired, while the main goal is to move cubes onto to switches, and the scale to capture them you can also move them into your teams vault to activate power ups. There are going to be bots of varying heights depending on their goals. There is scale that reigns high above the other goals in the middle of the field. Two switches sit on both starting sides of the arena. Cubes which are the crucial piece of this game sit in stacks facing the starting zones. 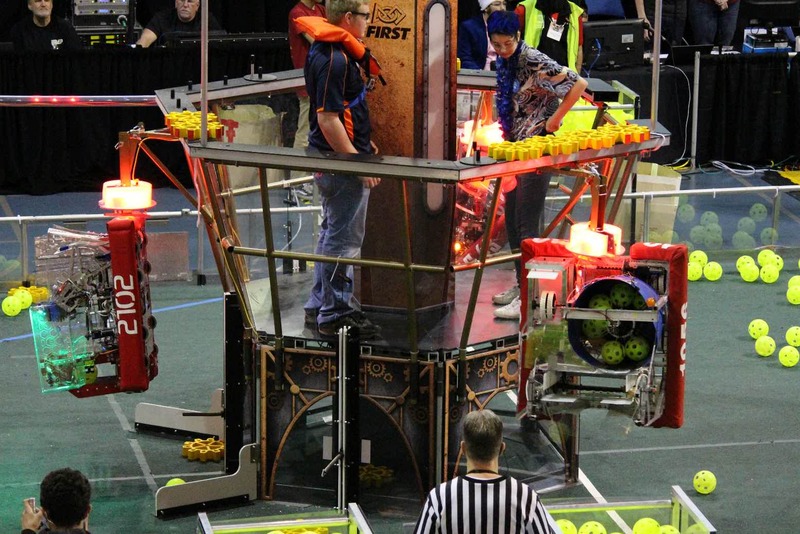 The final part of the field is the vault and block exchange Which sits right behind the bots starting line. Lastly outside of the arena is where you can use the cubes that you have vaulted to use three power ups Levitation, Boost and, Force. 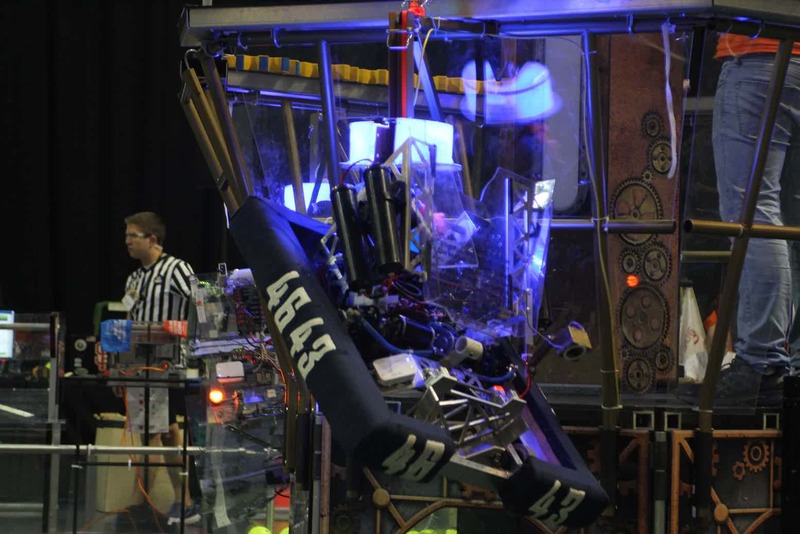 Levitation is used to allow your alliance to get a free climb. Boost allows you to soar ahead of the competition by increasing the points you earn for one of your capture objectives. Finally Force allows you to take control of an objective without having to place any blocks on it. 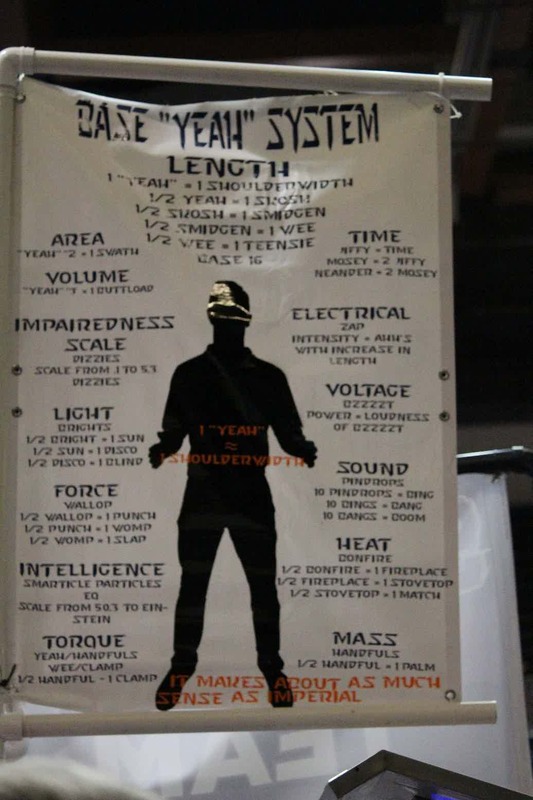 With the exception of Levitation,which requires 3 cubes to activate, all of these power ups can be used with 1, 2, or even 3 cubes to get a varying degree of scaling effect. 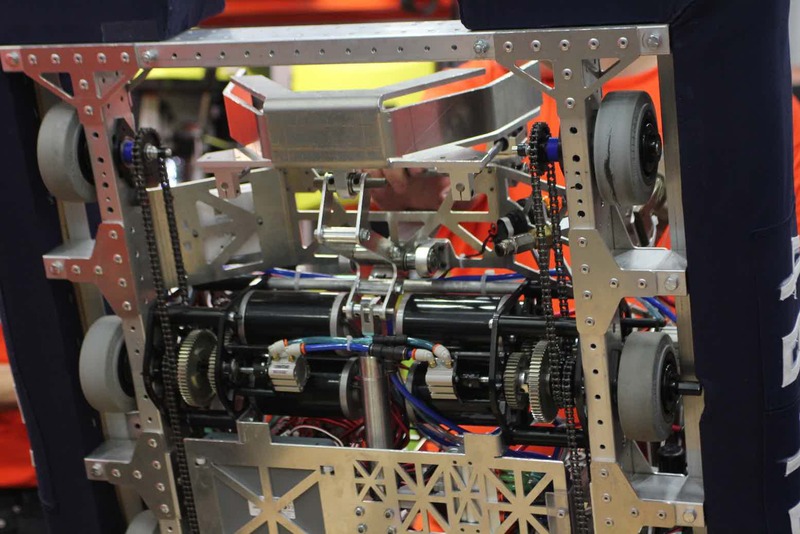 FIRST Steamworks is the FIRST Robotics Competition game for the 2017 season. 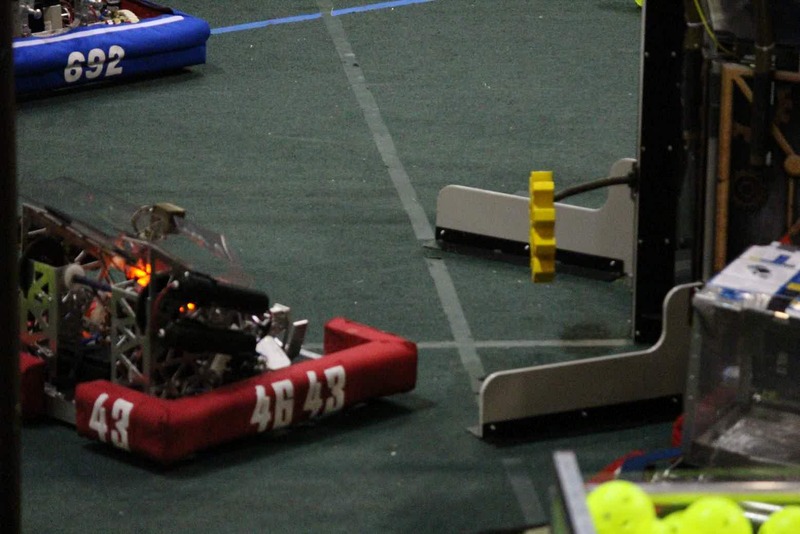 As in past games, two alliances of three individual teams and their robots compete on a field to score "match" point to win the game and ranking points to advance to playoff rounds. 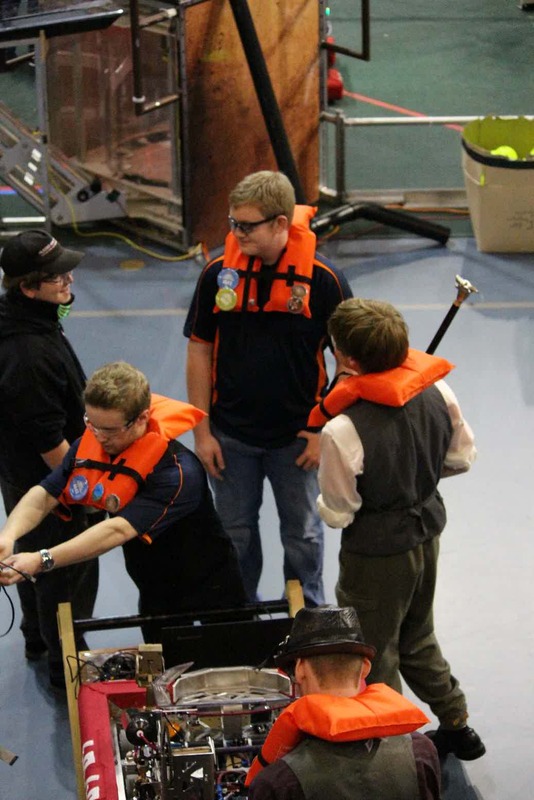 The game has a steampunk theme and teams are required to shoot wiffle balls which represent fuel into a simulated boiler which transfers the generated steam into an airship in the middle of the field. Each alliance has one airship, which they pressurize with steam from the boiler and load with plastic gears from the field. 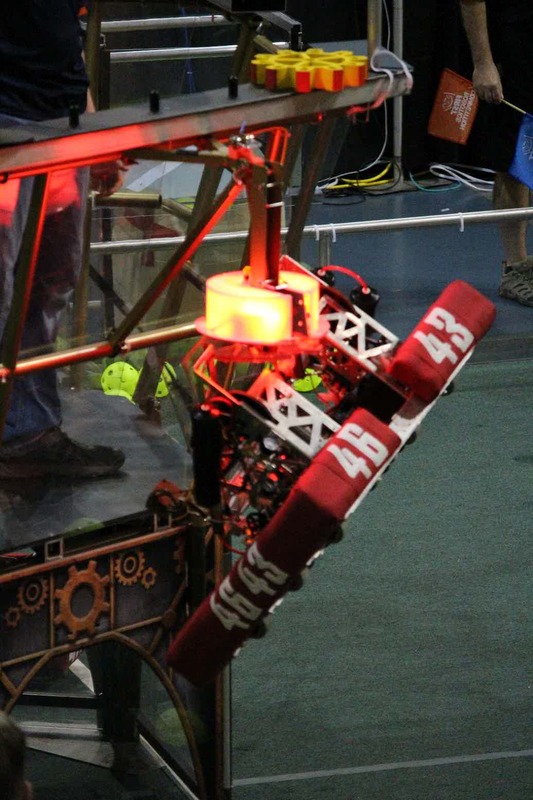 At the end of the match, robots can climb and hang on team-supplied ropes (or standard ropes supplied by FIRST) attached to the airship for additional points. 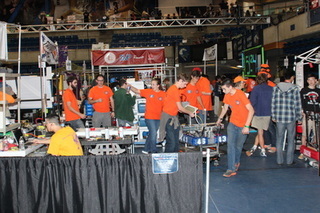 FIRST Stronghold is played by two alliances of three teams each. Alliances compete against each other to breach their opponents’ defenses, known as outer works, and capture their tower. They score points by crossing elements of their opponents’ outer works, scoring boulders in their opponents’ tower goals, and surrounding and scaling their opponents’ tower itself. This year started strong. Lots of brainstorming and design. 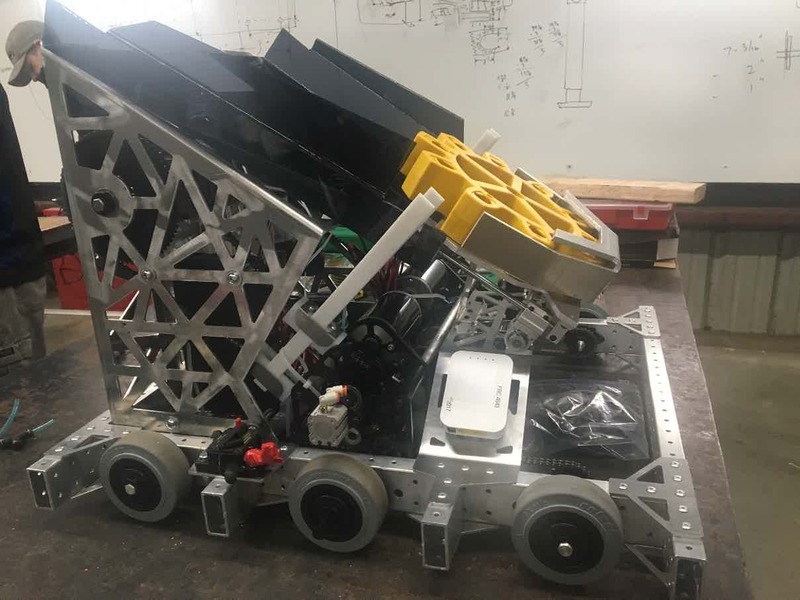 We decided on the drive train, and got working proof-of-concept manipulators working within the beginning of the second week. 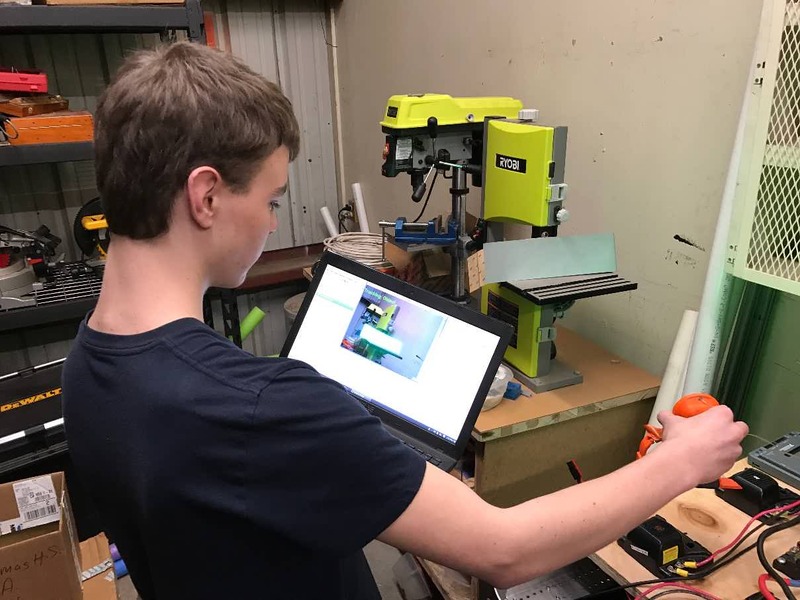 We soon had a working prototype, and began on the final bot. 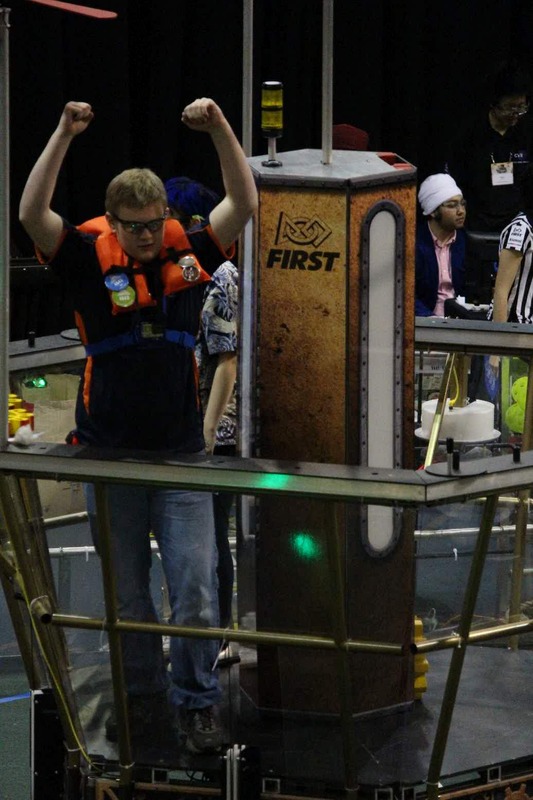 Once our first competition came around, we discovered a problem with our scaling mechanism. 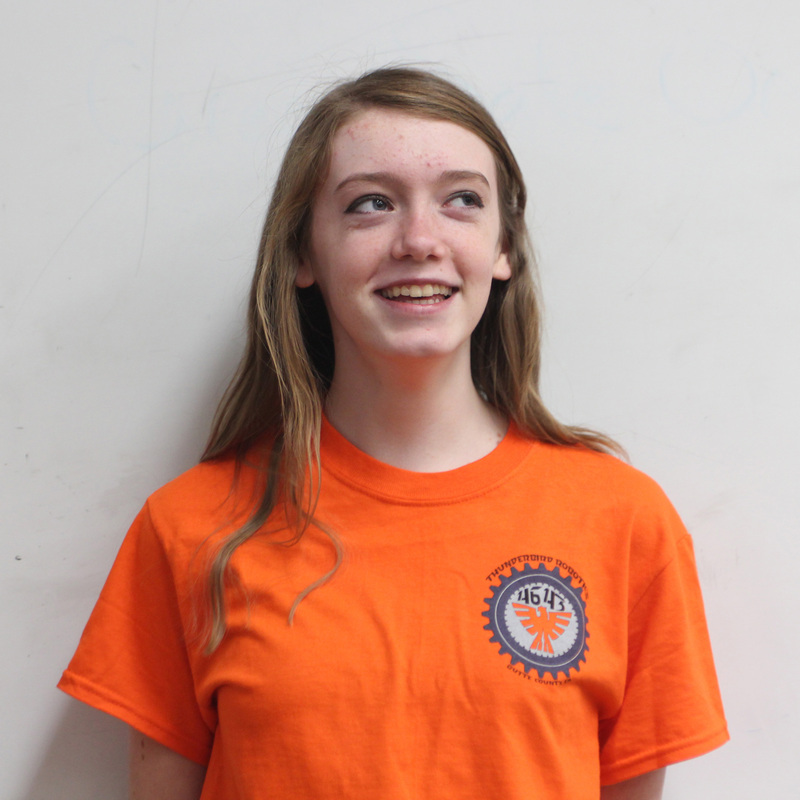 The motors couldn't output the amount of torque we needed even with our 100:1 gear ratio. 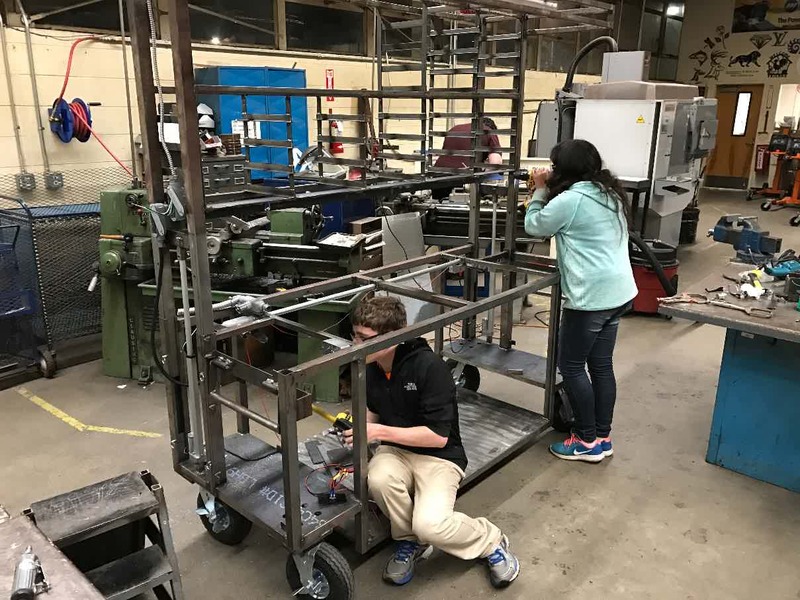 We designed a working prototype in between competitions, had the final design cut out by one of our sponsors, and assembled it during the Pit day at the second tournament. Success! We were able to reliably climb! Now, during the off season, we are preparing for Capital City Classic and building a Super Pit! FIRST Recycle Rush is a recycling-themed game played by two Alliances of three teams each. 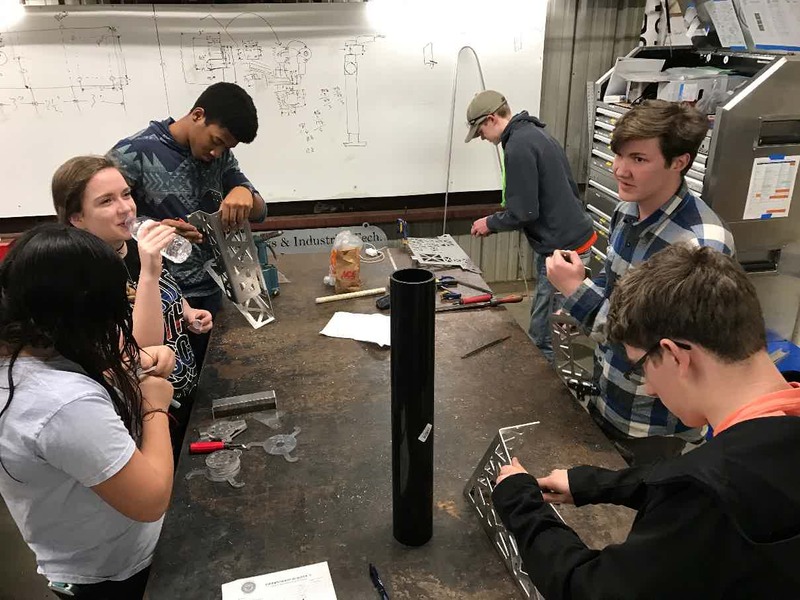 Alliances compete simultaneously to score points by stacking Totes on Scoring Platforms, capping those stacks with Recycling containers, and properly disposing of Litter, represented by pool noodles, in designated locations. In keeping with the recycling theme of the game, all scoring elements used are reusable or recyclable by teams in their home locations or by FIRST at the end of the season. 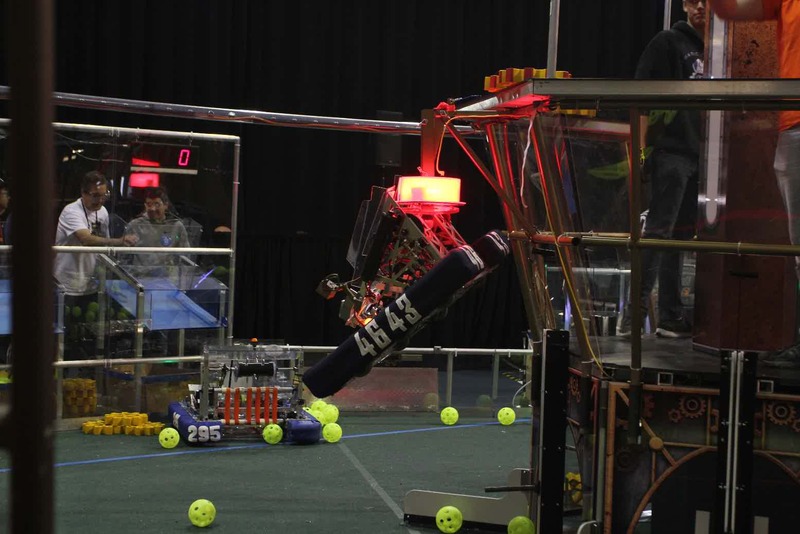 FIRST Aerial Assist is played by two competing Alliances of three Robots each on a flat 25 x 54 ft. field, straddled by a lighting truss suspended just over five feet above the floor. The objective is to score as many balls in the goals as possible during a two minute and thirty second match. 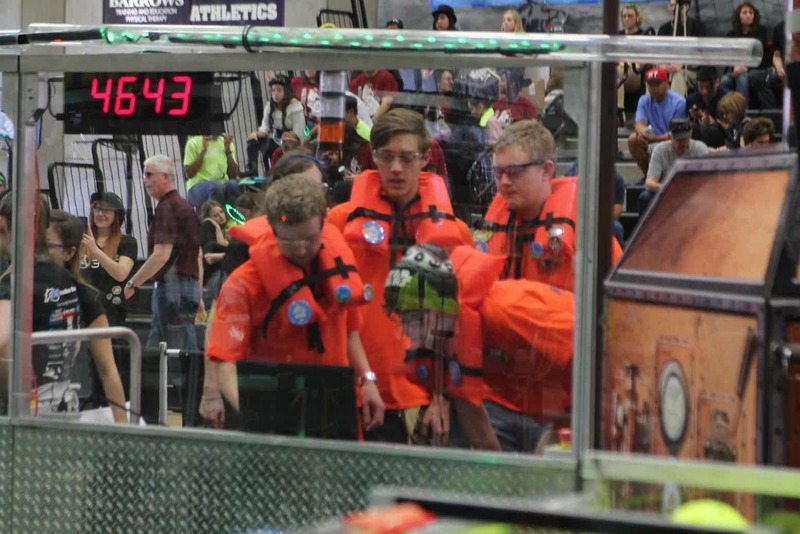 The more Alliances score their ball in their goals, and the more they work together to do it, the more points their alliance receives. FIRST’s 2014 Season, Aerial Assist, was our second year. 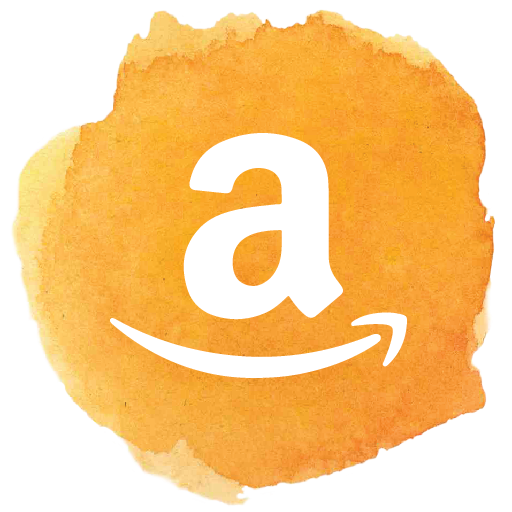 We grew in members, sponsors, and mentors. 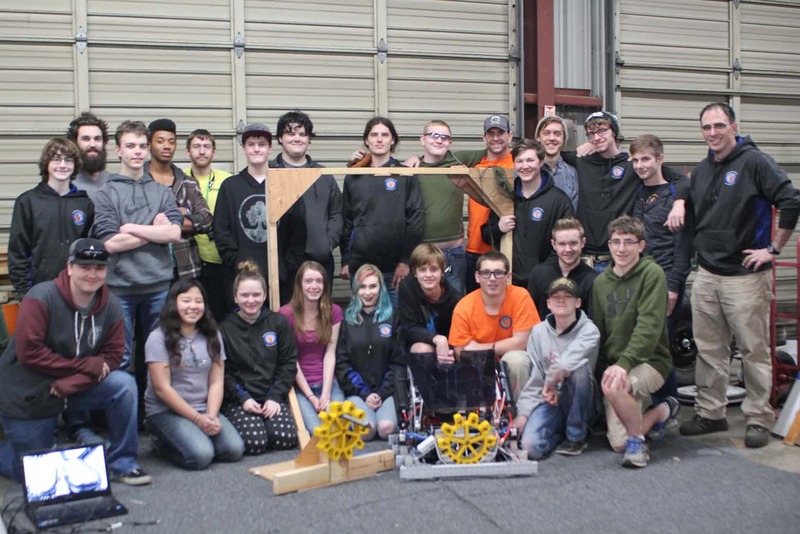 Now our team does not consist of just one high school, but many all throughout Butte County. This year we were a little better put together and our work ethic improved immensely. We came back to the Sacramento Regional a little more prepared than the previous year and it showed in everything we did. During the off season we were again invited to come back to Elk Grove for their Capital City Classic tournament, and once again we brought home another trophy for how well we proved the girls on our team can be in their Chick’s In Charge match. FIRST Ultimate Ascent is played by two competing alliances on a flat, 27 x 54 ft. field. 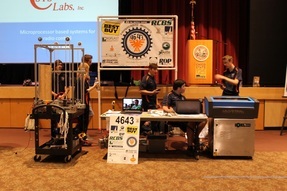 Each alliance consists of three robots. 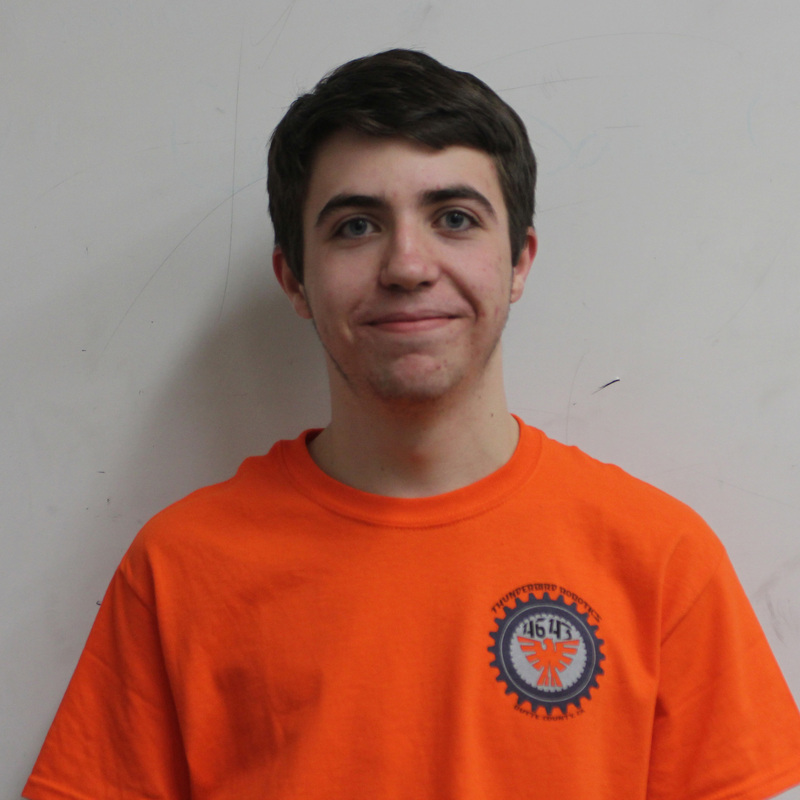 They compete to score as many discs into their own goals as the can during a two minute and fifteen second match. 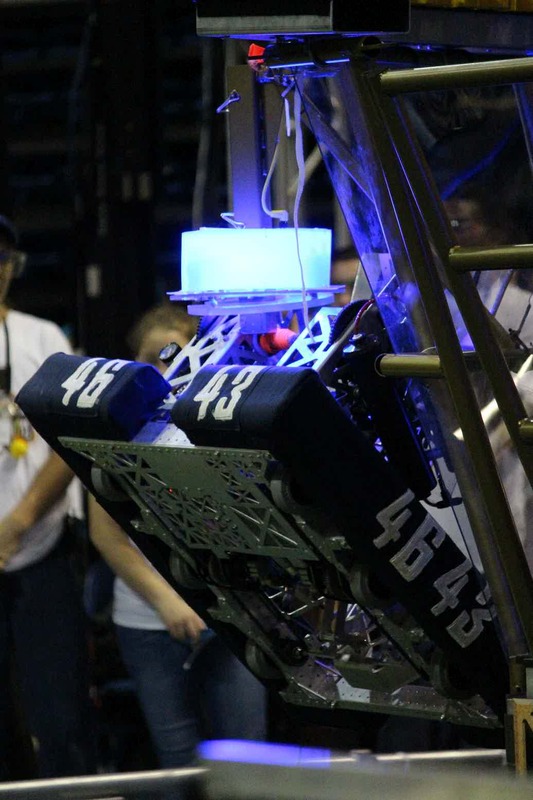 The higher the goal in which the disc is scored, the more points the alliance receives. 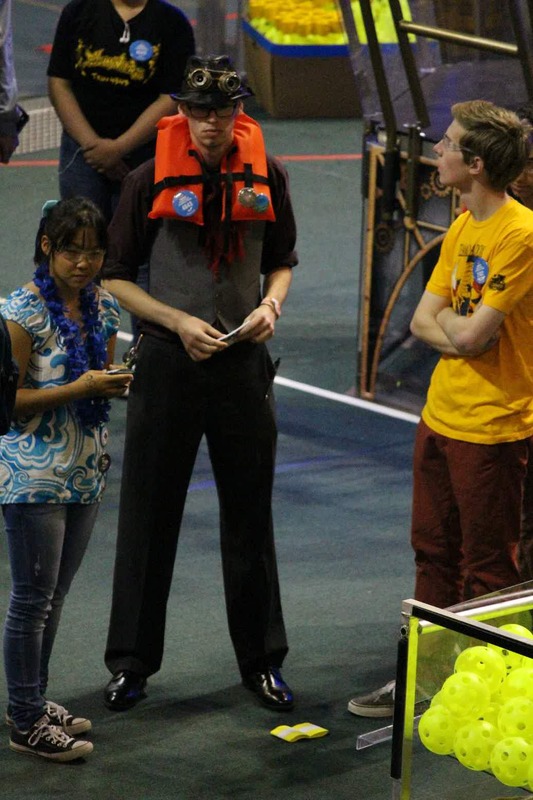 FIRST’s 2013 Season, Ultimate Ascent, was our team’s rookie year. 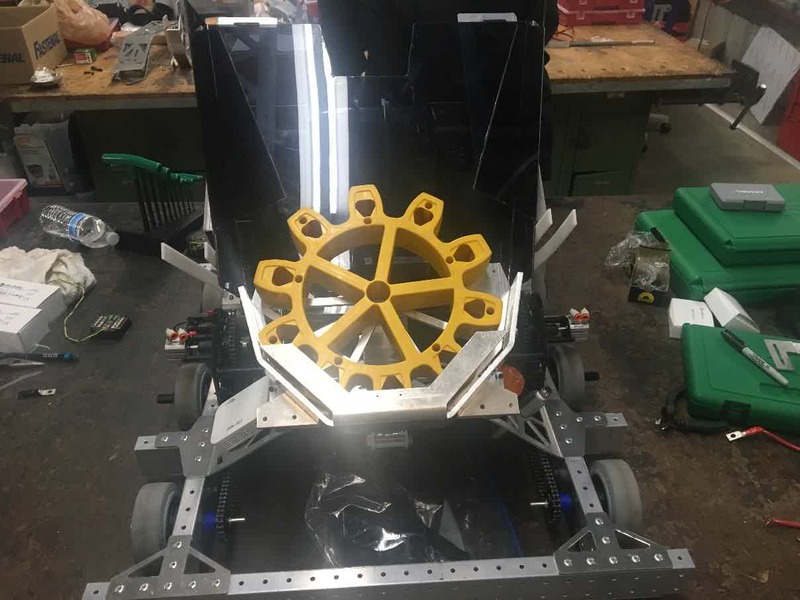 Our Advisor was on a robotics team during his high school career and thought it would be amazing to start the first and only team in northern California. Our first year contained minimal team members, mentors, and sponsor. But that didn’t stop us from coming together and going to the Sacramento Regional held at U.C. Davis. 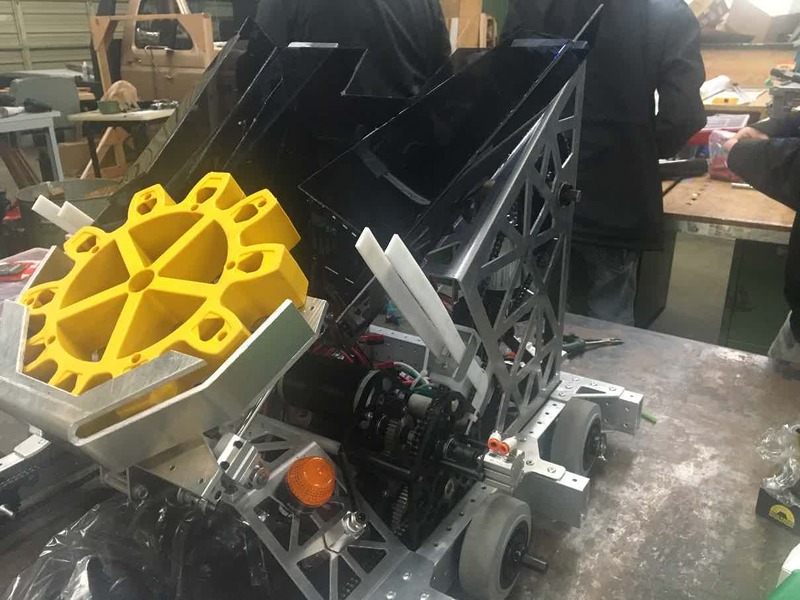 After the season was over, our team was invited to Elk Grove’s off season tournament, Powerhouse Pwnage. 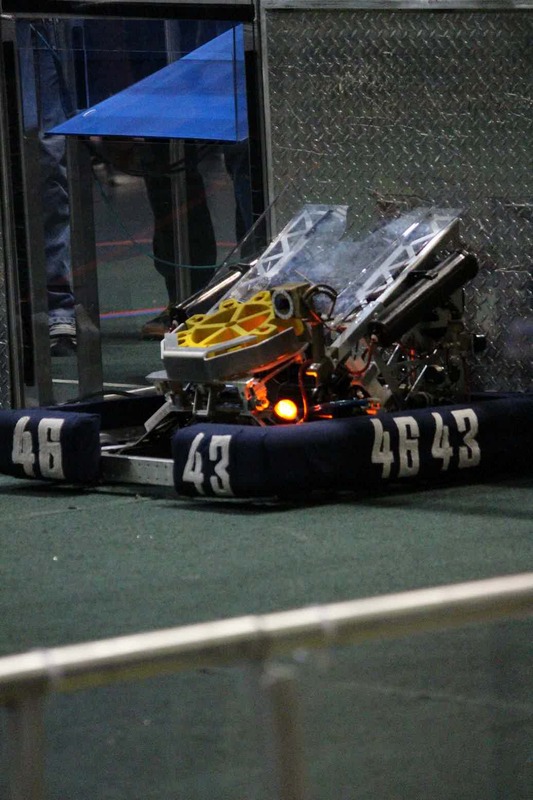 It was there that we won our first trophy for Highest Seeded Rookie. FIRST, For Inspiration and Recognition of Science and Technology, was founded in 1989 to spark the interest of young people in science and technology. They are a nonprofit public charity based in Manchester, NH. 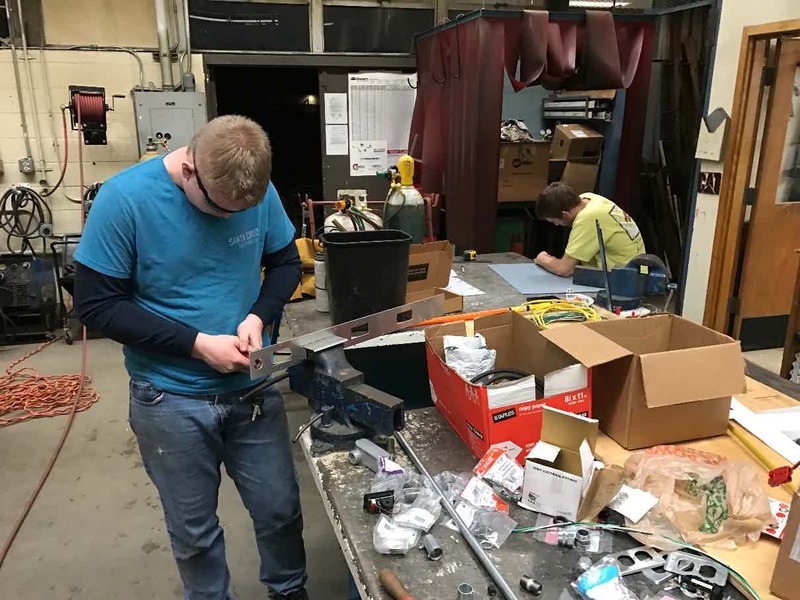 They design innovative, accessible programs to motivate young people to pursue education and career opportunities in science, technology, engineering, and math, while building self-confidence, knowledge, and life skills.